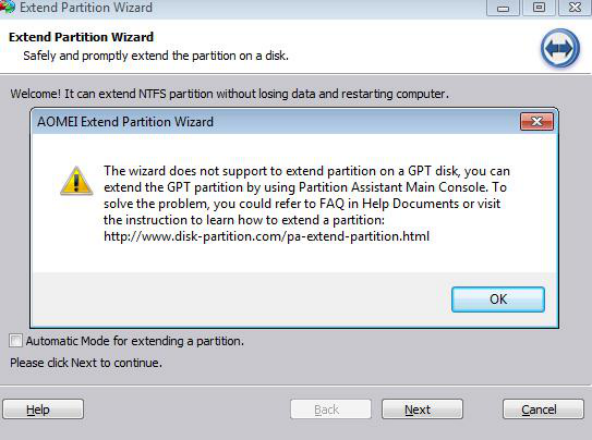 When you extend the partition on a GPT disk with “Extend Partition Wizard” feature, you may encounter the error message that the wizard does not support to extend partition on a GPT disk. When you get this error, you can extend the partition on GPT disk on Main Console of Partition Assistant. For example, extending C:drive with the free space of D:drive on Main Console. You can firstly shrink D:drive to get the unallocated space, and then add the unallocated space to the C:drive with “resize partition” function. 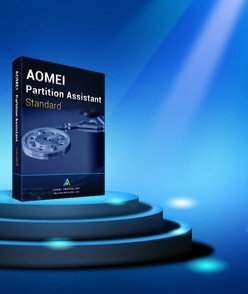 More detail about how to resize partition on Main Console of Partition Assistant, please refer to here.